Hudson Electronics hand builds pedals that are innovative and original in concept and design. 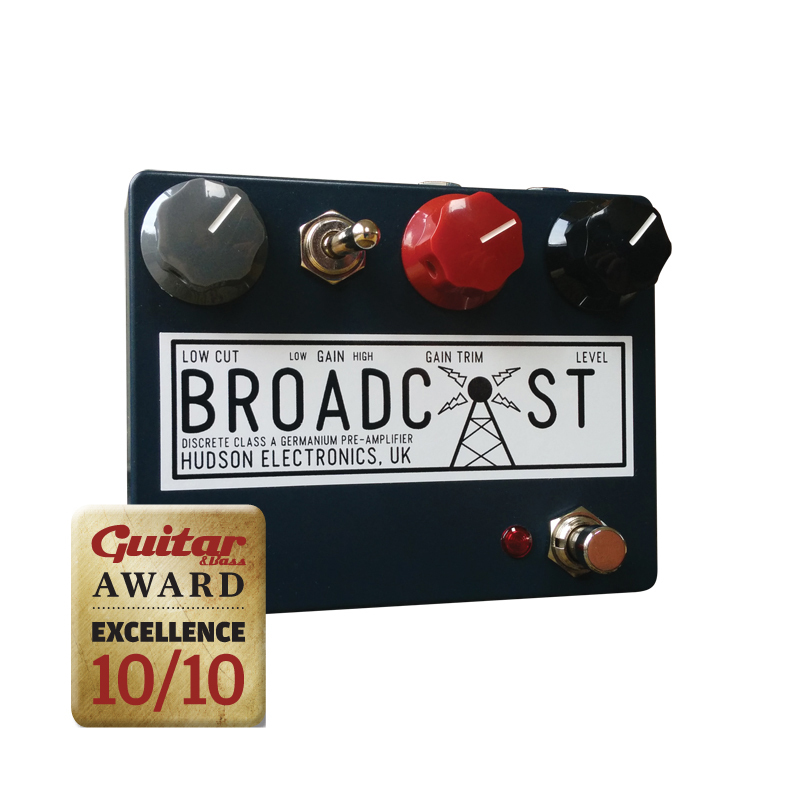 Hand building on stripboard using carefully selected components, Hudson Electronics has become one of the UK’s most respected boutique pedal manufacturers. Many of the components used are new old stock, including germanium and silicon transistors; and the wiring, testing and final assembly are all done in-house. The Broadcast and Sidecar are both DC supply only, so no batteries. They’ll run on voltages ranging from nine to 24 volts, with higher voltages increasing headroom and reducing sag. They look fantastic, but the telling is in the tone. For those of us who have plied our trade in professional analogue audio, the RAF blue of the Broadcast’s enclosure is as evocative as any tweed or tolex. It positively screams Neve – almost certainly the finest manufacturer of mixing consoles in history. Those original consoles sounded so good that plenty of guitarists and bassists would opt to record straight into the mixing desk. Hudson’s Broadcast is a preamp based on Neve topology with NOS germanium transistors and a steel-core Triad transformer. Unlike some other desk-derived preamps, this one plugs into regular guitar amps. Part of the appeal of those old Neves was the way they enhanced sounds by creating a harmonically richer tone with an increased sense of scale and a slight softening of transient peaks. No wonder, then, that Hudson figured these characteristics would be perfect as the basis for a clean boost pedal. It’s gone further by adding a high-gain switch to push further into the circuit’s overdrive characteristics. 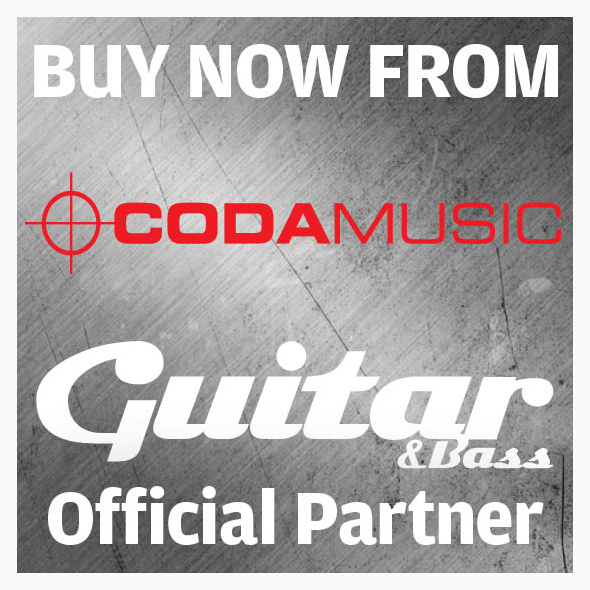 Gain trim and level control the gain and output respectively, and a low-cut filter sets the amount of bass content. Starting at its cleanest setting with equalised on/off volume levels reveals some of the preamp’s colouration. There is some bass roll-off, but the upper frequencies have a delicate sheen that ramps up the jangle factor and aids definition. Increasing the gain level adds harmonic overtones. It also fattens up the tone and restores the missing bass frequencies without losing that chiming clarity. The overdrive creeps in gently and it’s very responsive to playing touch. You’ll notice a tad more compression, and the purpose of the low-cut control becomes apparent as the bottom end acquires girth. Around halfway up, gain level induces a snarly and compressed overdrive with a wide-open treble that never gets harsh or shrill. Just like its illustrious inspirer, the Broadcast enhances the sound that’s already there by making it clearer and more complex, rather than changing it into something else. In high-gain mode, the Broadcast switches to square wave. At its most extreme, the overdrive veers into 60s fuzz territory, but without any of the craziness. Notes remain clearly defined and while the sustain is increased, it’s not a Big Muff type of sound. With a Les Paul I found myself playing Stooges riffs, and it’s an amazing overdrive for power-pop and punk rhythm parts. 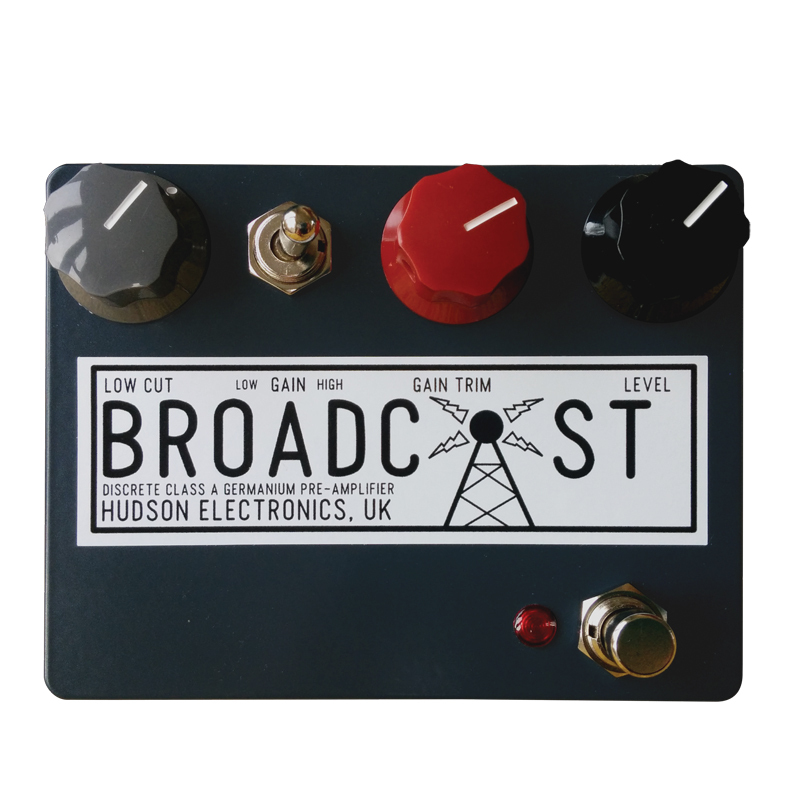 At lower gain levels, the Broadcast delivers an unusually articulate overdrive tone. With the bass rolled off, the upper-midrange character provides a Voxy jangle over arpeggios and it fills out into a more Marshall-like roar as you feed some bass back in. Hook this pedal up to any clean or slightly overdriven valve amp and you’ll discover a seemingly inexhaustible supply of clean and dirty tones. 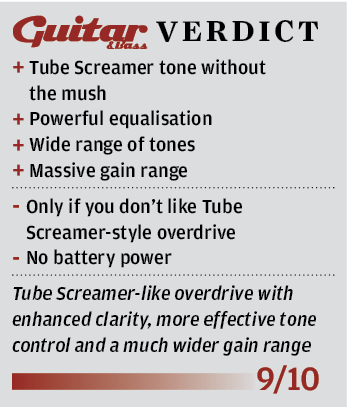 Back when `transparent overdrive’ was largely theoretical, the Tube Screamer came tantalisingly close. However, the muddy midrange hump and veiled treble caused frustration. Then came clones with more bass, extended top and clearer mids, but something was lost in the process. Players who reconsider their position on Tube Screamers often rediscover their natural charms. In the right context, that midrange hump can work wonders, beefing up the clean tone of mid-scooped amps for powerchords and solos. If you need transparent overdrive, though, there are plenty of pedals better suited to the task. 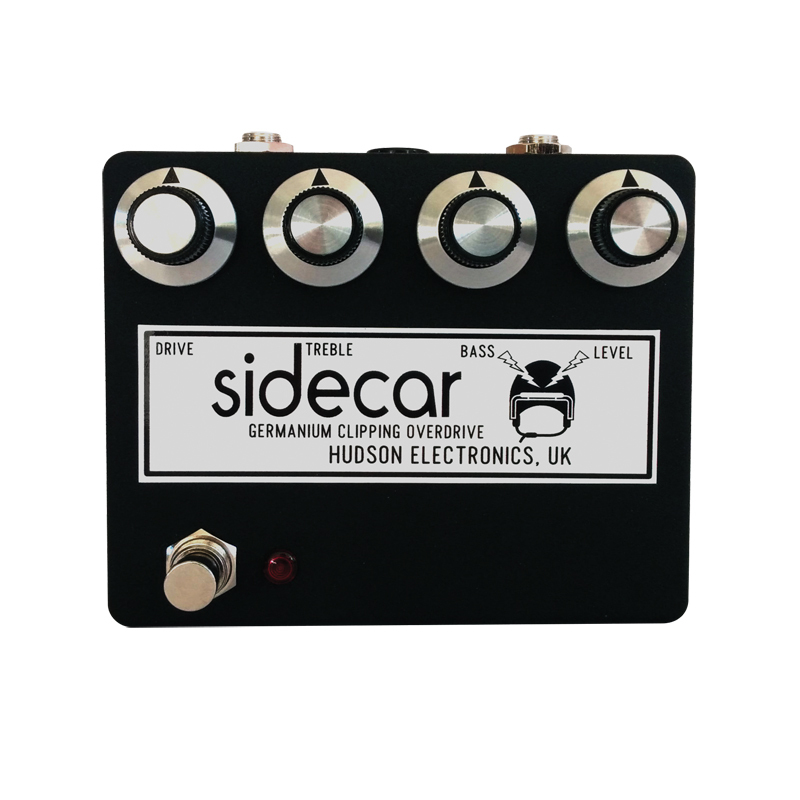 In essence, the Sidecar is a Tube Screamer-inspired overdrive with drive and level controls. The input is buffered prior to the clipping stage, but the Sidecar is true bypass. A high-grade audio op-amp housed in a metal canister is preferred to the usual chip, and the clipping components include a germanium transistor, a diode and an LED. The modified tone circuit is a sophisticated take on a Baxandall-style tone stack derived from a Studer mixing console. 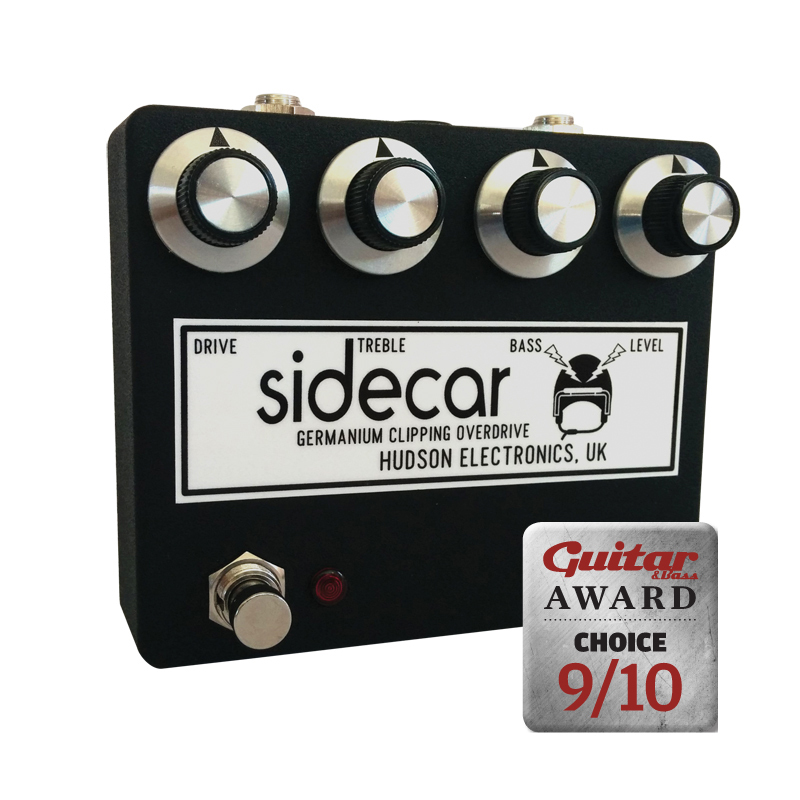 The Sidecar is unusual because it captures all the great qualities of a Tube Screamer without the stock limitations. In fact, it doesn’t seem to have much in the way of limitations at all. The gain ranges from clean to full-on fuzz with bluesy drive in between, and the two tone controls have just about everything covered. Although there’s no mid control, that doesn’t mean you can’t control the mids. With the treble, bass and level around noon, the Sidecar has a more or less neutral response. Turn the tone controls down while increasing the level and the result is a midrange boost. Boosted treble and bass with increased level will bring you a midrange scoop. Like the Broadcast, this pedal has a sweetly flattering effect on treble frequencies. Even when you start adding gain and treble, the Sidecar retains a refined top-end response that’s both smooth and dynamic. You can play at high gain with a pick, or with your fingers for Eric Johnson or Jeff Beck-style tones. 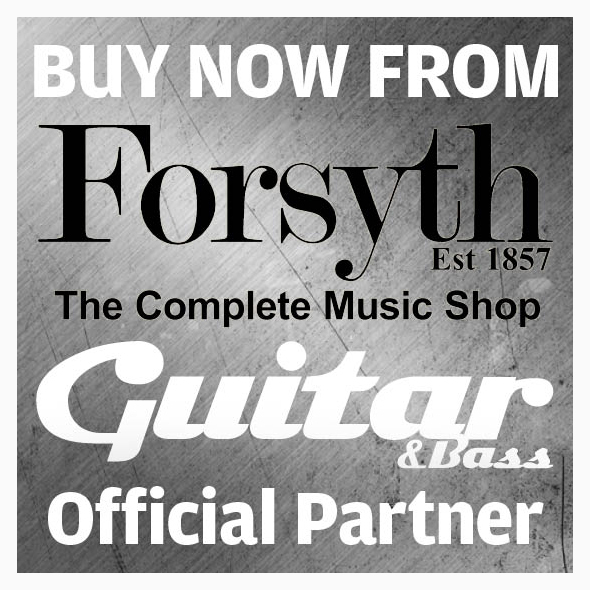 For soloing, you can dial in as much sustain and gain as you’ll ever need, but even at fairly high gain settings you can revert to chords and arpeggios and each note will sound clear and distinct. 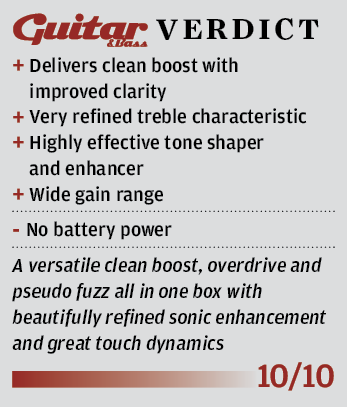 In the course of reviewing countless pedals, we’ve seen soldering and layouts that range from shocking to tidy and even elegant, but these are the first pedals that have made G&B gasp in awe. It may sound geeky but we care about such things, and the way these Hudsons are made is beautiful to behold. This attention to detail pays dividends in usability, versatility and outright tone. The biggest surprise is just how affordable these top-class pedals are.